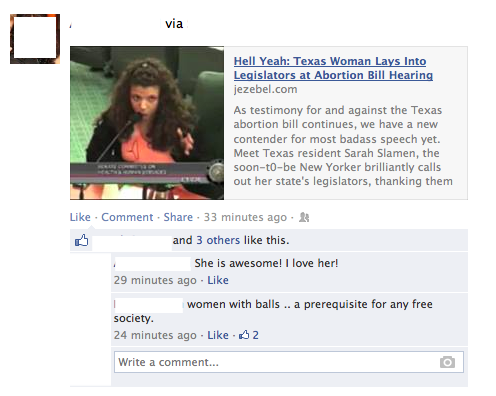 ... women with balls. Apparently this is synonymous with women who want to kill viable and/or pain-capable pre-born babies and deny women safety regulations. And this is after Kermit Gosnell, Douglas Karpen, and Live Action's "Inhuman" investigation. Anyone can go read the Gosnell grand jury report to see why exactly these atrocities were allowed to continue (hint: it wasn't because abortion clinics were over-regulated!). Seriously. The stupid and hysteria burns my eyes.